A day after welcoming grandbaby No. 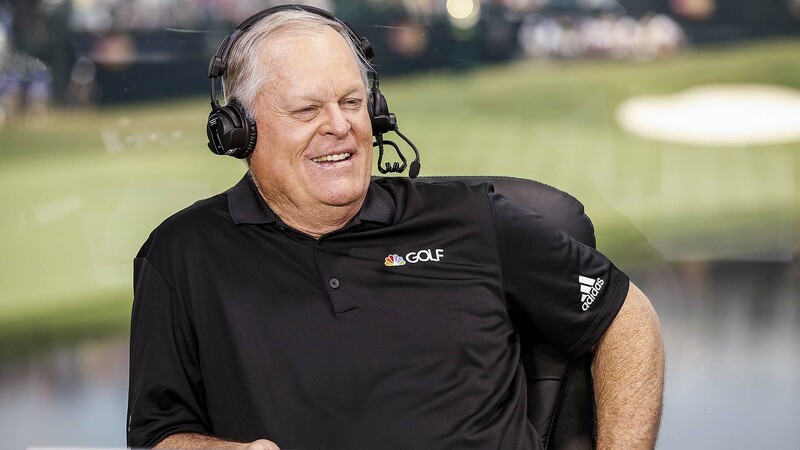 24 into the world, NBC Sports/Golf Channel analyst Johnny Miller carefully considered the question – why now? Miller’s voice has been the soundtrack to some of the game’s greatest moments for 29 years – since he took over as the network’s lead analyst – and his unfiltered take created an immediate standard. During his first event in the booth, Miller called the final moments of the 1990 Bob Hope Chrysler Classic with his good friend and frequent partner Peter Jacobsen clinging to a one-stroke lead. It was a blunt style that was very much new to golf at the time. Prior to Miller the norms of broadcasting golf tournaments required a kid-glove approach, but before making it through his first 72 holes Miller had already uncorked the first of many “choke” comments. Miller’s approach to broadcasting was born from the same competitive drive that lifted him to 25 PGA Tour titles and two major championships, and he’s as comfortable with his no-holds-barred approach now at 71 as he was when he started in 1990. Miller’s assessments were as educated and nuanced as they were pointed, but that didn’t mean they were always easy. And because of Miller’s unique style and aptitude for the game a generation of golf fans better understood what it was like to feel the pressure at the game’s highest level with a title on the line. It was never about embarrassing players or creating talking points; it was simply the only way Miller knew how to play the game and what separated good players from great ones. For Miller, having the best seat in the house for nearly 30 years only reinforced what he learned as an accomplished player. Although he concedes now that he’s softened slightly over the years, having been the man who put so many historic performances in context has left more highlight reel moments than he can remember. There was the 1991 Ryder Cup at Kiawah Island in South Carolina that the U.S. team won by a point. He fondly recalls his first U.S. Open in the booth in 1995 at Shinnecock Hills and, of course, the ’08 championship at Torrey Pines was special for so many reasons. But pressed for his favorite tournament as an analyst, Miller’s mind goes to the 2000 U.S. Open at Pebble Beach, which Woods won by 15 strokes. Miller will miss the booth and the people he’s worked with like Dan Hicks and NBC Sports and Golf Channel producer Tommy Roy, but he admits that the job has changed. Miller offered one final assessment for his replacement as the lead analyst and it was no surprise that his answer was unblinkingly straightforward. After nearly 30 years of unfiltered honesty, Johnny would know.